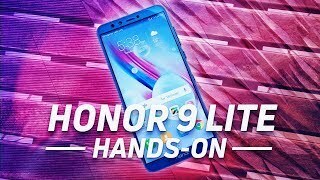 Honor 9 Lite has got appears to be an expensive smartphone, you will love with the design and built-quality especially blue color device, but talking about camera and battery it disappoints but it’s okay with mid-range phones. It comes with two variants; 3 GB RAM with 32 GB ROM and 4 GB RAM with 64 GB ROM and both have the same display size of 5.65 inches Full HD. Honor 9 Lite is built out of a glass and metal, which make it the premium looking mid-range phone. It has a similar glass and metallic design with curved edges which are similar to Honor 9. The phone has no physical navigation keys on the body, and fingerprint sensor is on the back. This device has 2.5D curved glass baked on both the front and back and you will feel it bit slippery. 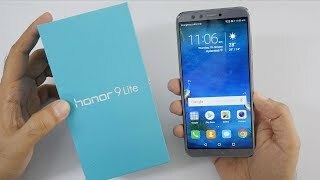 Honor 9 Lite has 14.35 cm (5.65”) Full HD display and boasts a double-sided 2.5D glass, which makes nice HD visual from all the direction. It is 18:9 aspect ratio with outstanding 2160 x 1080 Pixels resolutions. This device is powered with a 2.36 GHz Kirin 659 octa-core processor and comes with two variants, 3 GB RAM with 32 GB ROM and 4 GB RAM with 64 GB ROM, and therefore you will not feel any lagging and can have multiple apps at once, and also most of the high graphics-rich games can be played easily. This smartphone is built with 3000 mAh battery using fifth-generation technology, which definitely can go all day long. The company claims that it can have 86 hours of offline music, and up to 13 hours of offline videos. It is a dual sim phone with the hybrid slot, supported and support 4G VoLTE, UMTS, GSM, WCDMA networks. It supports all the major sensors like Proximity Sensor, Fingerprint Sensor, Ambient Light Sensor, Compass, Gravity Sensor, Phone Status Indicator. 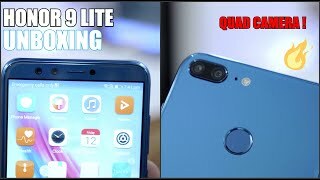 Honor 9 Lite has 13MP + 2MP Dual Rear Camera and 13MP + 2MP Dual Front Camera. Both the front and back camera can take pictures with 4160 x 3120 pixels resolutions and have major features like AF/PDAF, Wide Aperture Mode, and Portrait Mode. 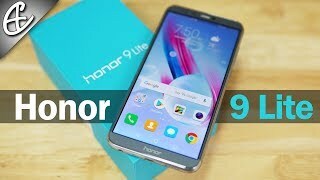 The lowest price of Honor 9 Lite (Sapphire Blue, 64 GB)(4 GB RAM) was obtained on March 24, 2019 3:46 am. This is really cool phone. I like it in blue color.